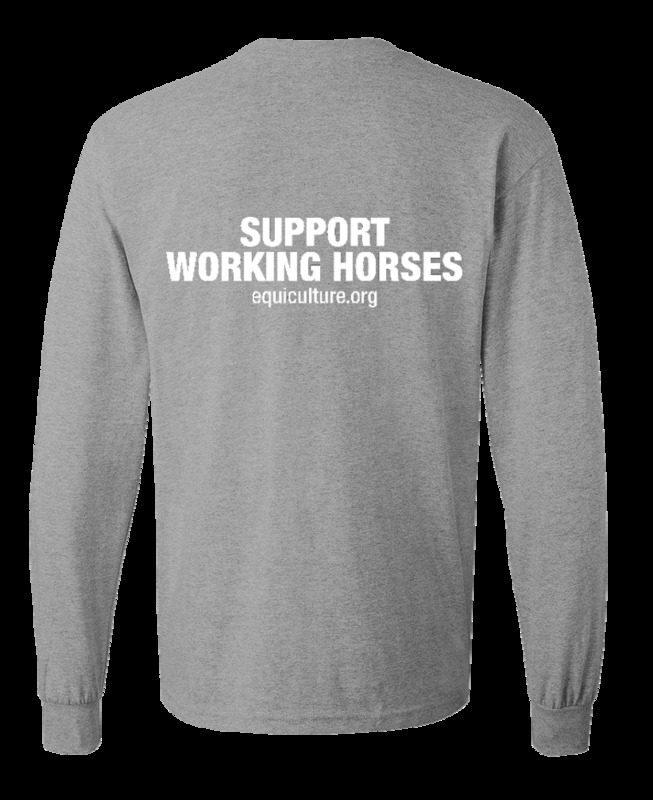 Show your support with pride! This tee is 100% ring-spun cotton, fabric weight 4.5 oz/sq yd (153 g/sq m), pre-shrunk for extra durability. Shoulder-to-shoulder taping, quarter turned to avoid crease down the center. Want a different fabric choice? We can do special orders! 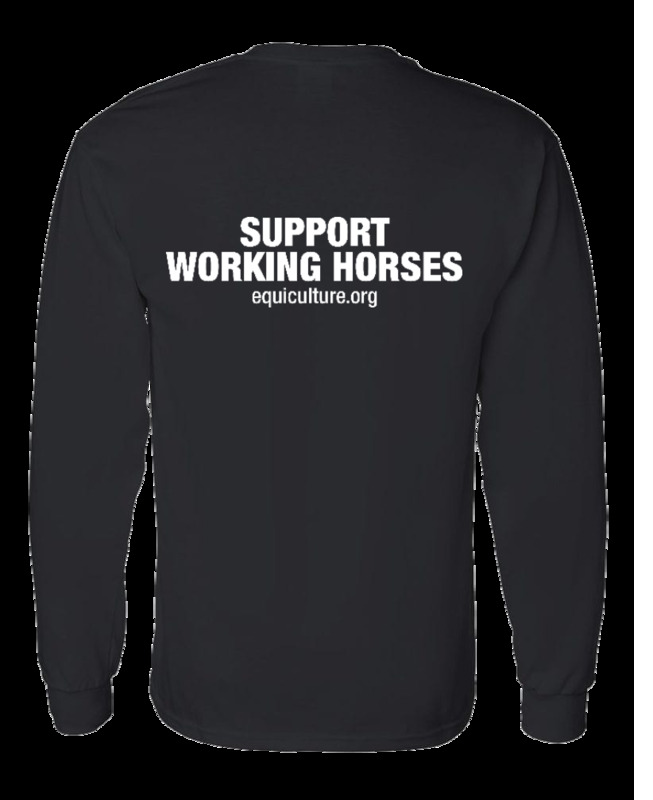 Let us know what you'd prefer in an email to info@equiculture.org.